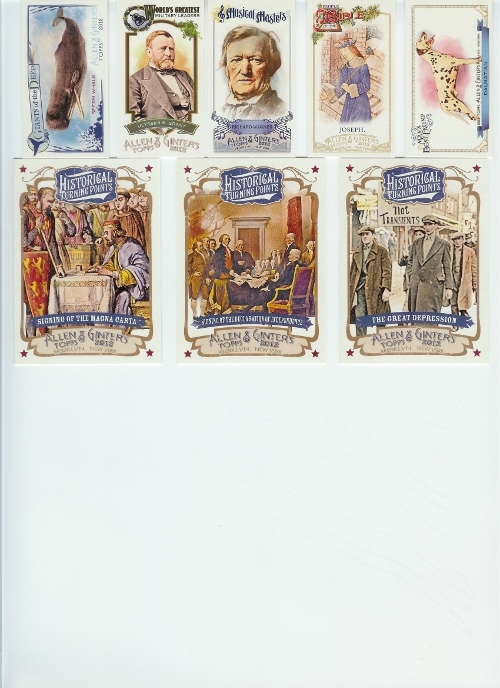 Over the years, my opinions of Allen and Ginter has slowly evolved. Initially, I don't think I really "got" it. It wasn't until last year that I really got on board, so this year, I was definitely looking forward to the release. Even though I've come to expect the unexpected, even I was surprised by one of my hits. Yes, that is in fact, a relic from the balloon used by the balloon boy. I wonder how long it will be before people have to look up exactly who balloon boy is. At least the other relic is from the Harlem Globetrotters. The third hit from the box is a McCutchen Rip Card. What to do, what to do... Keep it intact? Or roll the dice and see what I have? 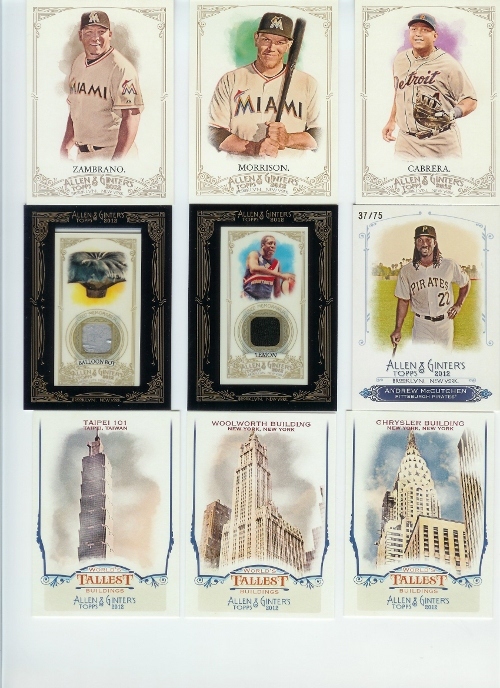 As usual, there are an assortment of non sport insert sets. I may have to let them sink in a little bit before I pass any judgement on them.